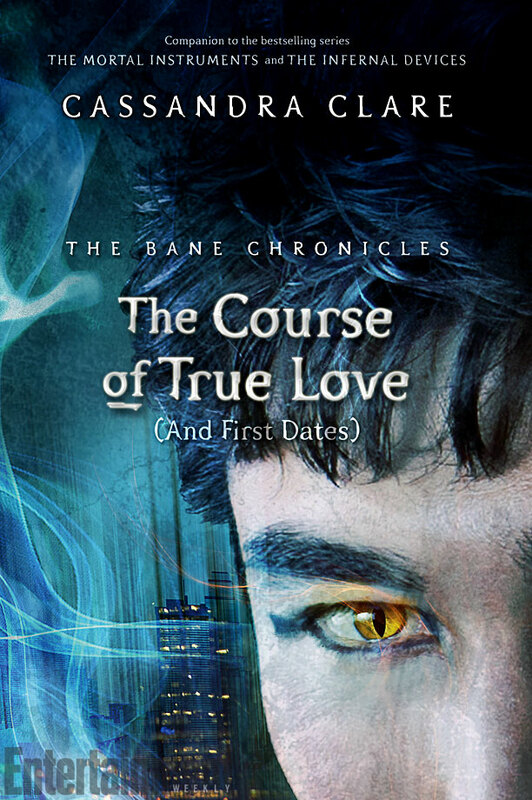 We are one week away from the final installment of The Bane Chronicles – The Course of True Love (And First Dates) – and Entertainment Weekly’s Shelf Life has released the cover for the 10th ebook. will feature the 10 already-released original e-short stories, and will include a never-before-seen 11th tale. The hardcover will also feature 10 illustrated scenes. Click here if you want to read a short snippet of The Course of True Love (And First Dates). How excited are you for this e-book and which edition will you be buying? Sound off in the comments. Oh I can’t wait for the print! Gonna definitely be getting the hardcover. CAN’T WAIT! Extra story? The ”No Immortal Can Keep a Secret”? What happened with it anyway? Right now we don’t know if the extra story will be No Immortal Can Keep a Secret. I’ve asked Sarah Rees Brennan so I’ll let you know when/what she answers. I NEED THIS! But is it only the hardcover one that has all the other 10 and the extra 11th one? Does it come in paper back too? And I heard someone say that it wont have paper back edition? There’s also a paperback edition (ISBN 978-1406352429) and according to Amazon it’ll be published earlier than the hardcover edition. Right now we don’t know if both editions will have the extra story, we’ll let you know! Can we get/find the other short story and drawings somewhere else? or just in the hard cover? I want to read them all sooooo badly. How DID Magnus get banned from Peru? Can you tell me?